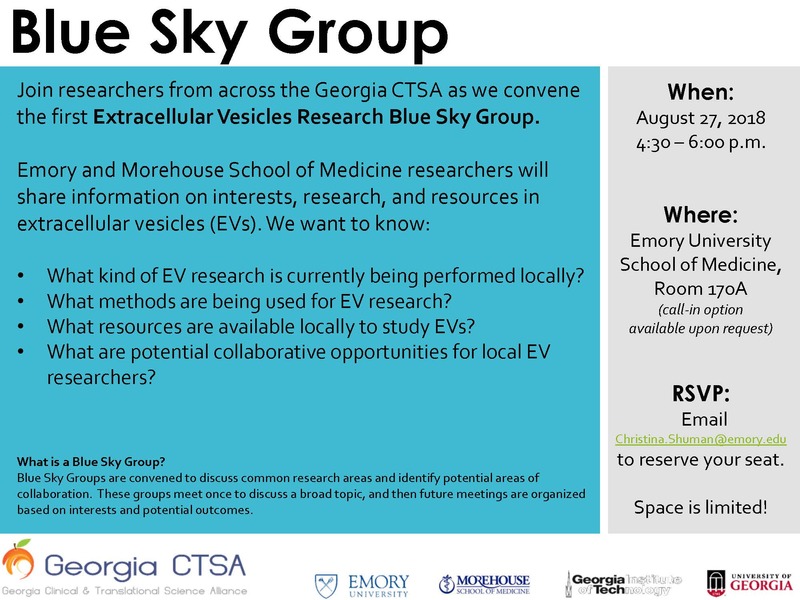 Join researchers from across the Georgia CTSA as Emory and Morehouse researchers share information on interests, research, and resources in extracellular vesicles (EVs). Blue Sky Groups are convened to discuss common research areas and identify potential areas of collaboration. These groups meet once to discuss a broad topic, and then future meetings are organized based on interests and potential outcomes.